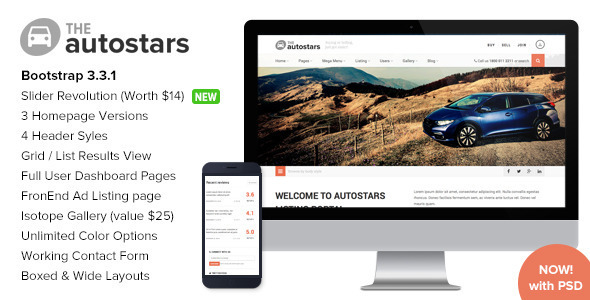 Here are the best automotive car dealership and business templates which you can use for your website. 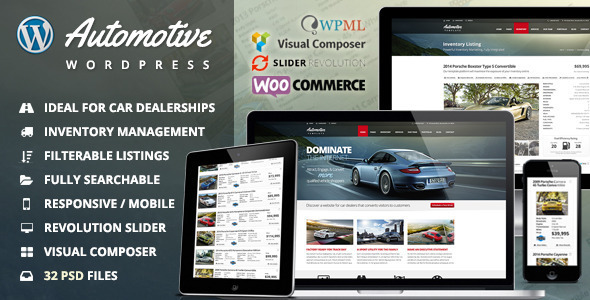 All the themes are responsive and can be easily edited. Hope you like over collection and it is useful for you. Designed By themesuite (http://themeforest.net/user/themesuite). It is Fully Responsive with Bootstrap 3 Framework and jQuery Inventory Layouts and 6 customized php contact forms. And It has Slider Revolution Included with W3C Validated & SEO Optimized HTML5 Code which is too much useful. Designed by ClaPat (http://themeforest.net/user/ClaPat). 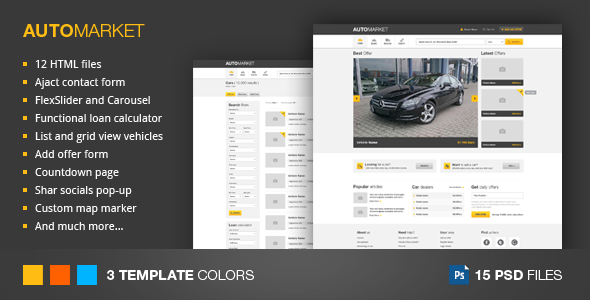 AutoMarket template is a Responsive template and is best solution to buy/sell cars online. 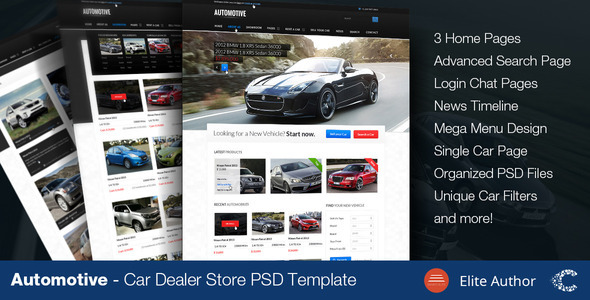 This template is best suited for dealers, who need to do their business online via websites. Designed by mustachethemes (http://themeforest.net/user/mustachethemes). It is fully Responsive with Jquery Lightbox and SEO optimized. 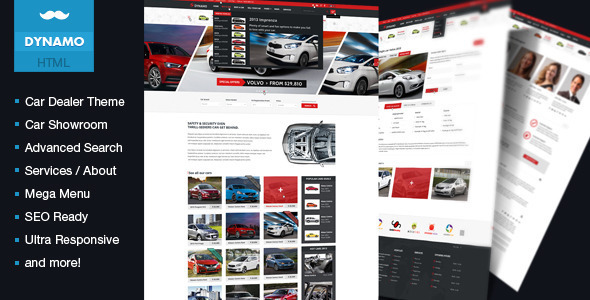 It is the HTML template developed especially to car sellers and dealers. Designed by imithemes (http://themeforest.net/user/imithemes). It is fully responsive template based on Twitter Bootstrap 3.3.1 framework. It has all screen sizes from the bigger ones to smartphones. 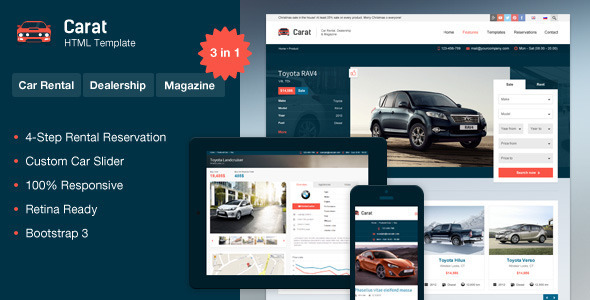 It has Multiple style Blog and Listing template with full User Dashboard Pages and multiple Gallery Styles Pages. Designed by themesuite (http://themeforest.net/user/themesuite). It is fully Responsive SEO Enhanced and well organized with color-coding, guides, grid help lines using the latest Bootstrap 3 responsive column layout.and it includes complete easy-to-use functionality. It has the function of One Click Installer. Designed by ThemeMakers (http://themeforest.net/user/ThemeMakers). 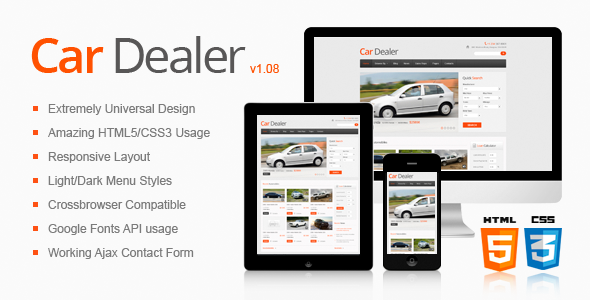 It is fully Responsive and inbuilt with W3C Valid HTML5 pages.Car Dealer Responsive HTML5/CSS3 Template is best solution to buy/sell cars online. It has Lightbox with video support (.swf, youtube, vimeo). Designed by pragmaticmates (http://themeforest.net/user/pragmaticmates). It has a HTML Version and a PHP Version with Premium icon set. And It is totally cool. Designed by winterjuice (http://themeforest.net/user/winterjuice). 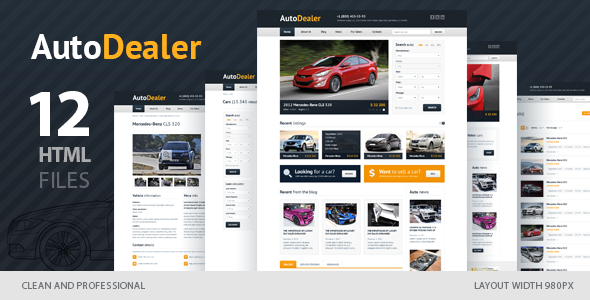 Auto Dealer is the HTML template developed especially for car sellers, dealers and real estate companies. we can use this template for creating website based on any framework and any language. Designed by themeenergy (http://themeforest.net/user/themeenergy). It has fully Responsive design and SEO Optimized theme and Valid HTML5 & CSS3. It has awesome animations and working contact form and 23 HTML files. Designed by kopasoft (http://themeforest.net/user/kopasoft). 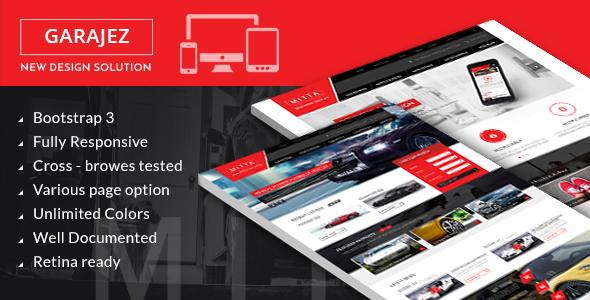 It is Fully responsive design and retina ready. It is a professional multi-purpose HTML5 template. Compiling the latest version of HTML and CSS3 brings many advanced features for the theme helps developers create semantic accuracy websites. Designed by CoralixThemes (http://themeforest.net/user/CoralixThemes). 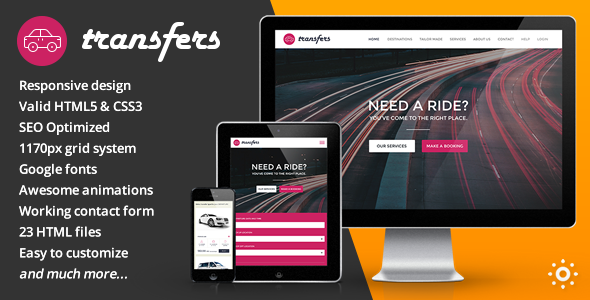 It is fully layered PSD template with 3 Sliders available and Home Page with full slider and Contact Page with form and Google maps.